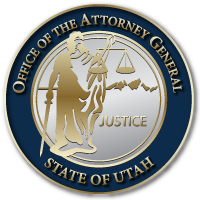 SALT LAKE CITY February 2, 2017 — Attorney General Sean Reyes joined a 20-state coalition in urging Senate leaders to confirm the nomination of Neil Gorsuch to the U.S. Supreme Court. The coalition expressed its support in a Wednesday afternoon letter sent to Senate Majority Leader Mitch McConnell, Minority Leader Chuck Schumer, Senate Judiciary Chairman Chuck Grassley and Senate Judiciary Ranking Member Patrick Leahy. The letter urges the Senate, including Senator Orrin Hatch and Senator Mike Lee, to confirm Judge Gorsuch without delay. President Trump, in nominating Judge Gorsuch, fulfilled a promise to nominate a jurist who shared the late Justice Antonin Scalia’s commitment to interpreting the Constitution as it was originally written. The coalition believes Judge Gorsuch is particularly well-suited to enforce the Constitution’s limits on federal overreach and protect the role of individual states. Federal agencies have consistently overstepped the bounds of their authority under the Constitution, to the detriment of the states, during the past eight years. Judge Gorsuch offers a positive change. He respects the role of state governments and has consistently defended the constitutional rights to freedom of speech, religion and the right to bear arms. The Senate previously confirmed Judge Gorsuch with broad, bipartisan support to the 10th U.S. Circuit Court of Appeals. The coalition’s letter finds no reason why a jurist of such immense qualifications should not receive prompt confirmation once again. Those signing the letter were state attorneys general from Alabama, Arizona, Arkansas, Florida, Georgia, Indiana, Kansas, Louisiana, Michigan, Missouri, Montana, Nebraska, Nevada, North Dakota, South Carolina, Texas, Utah, West Virginia, Wisconsin, and Wyoming. Read a full copy of the letter at http://bit.ly/2jDSp8j. This entry was posted in Archived Posts, Recent Posts and tagged Gorsuch on June 27, 2018 .